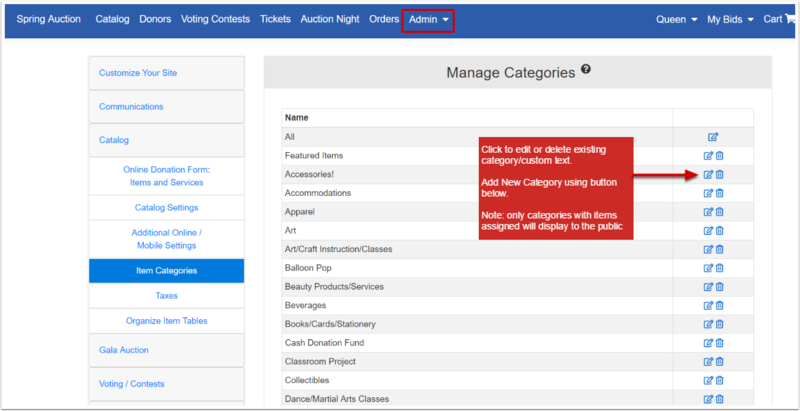 Item Categories allow users to search and filter the web catalog to facilitate browsing. 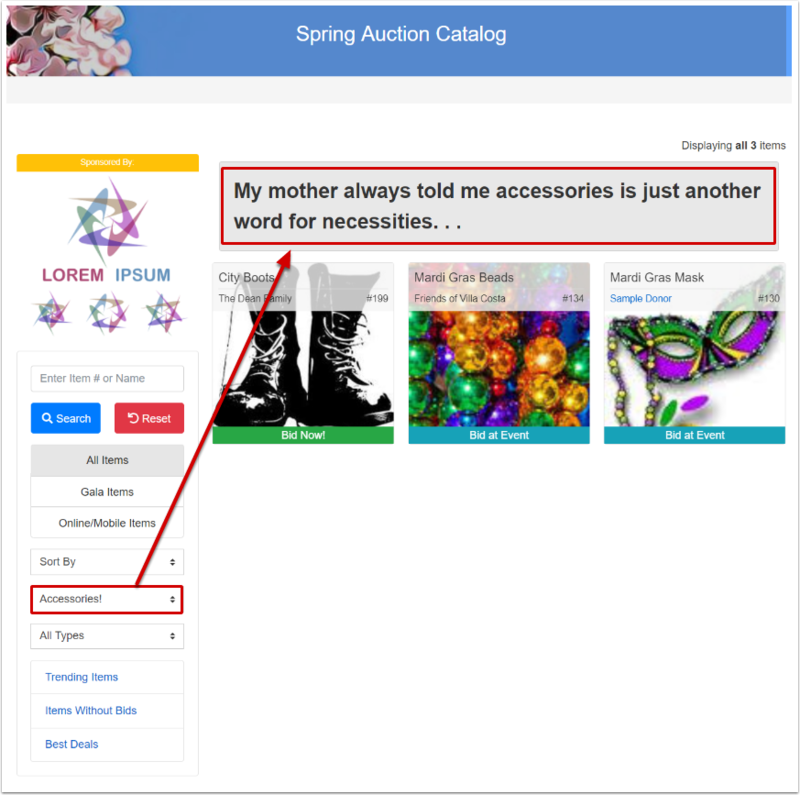 In addition, custom message space is available for promoting and/or providing additional information and images for each category. 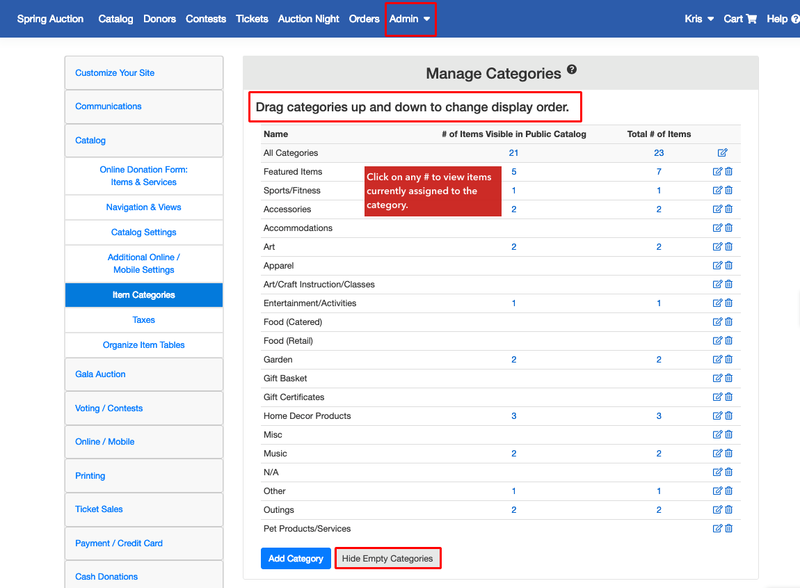 Plus and Premium customers have additional tools for managing Item Categories.